We'd made such progress this past week on the plane that we decided to opt to do some light work today so that we could still enjoy some of the beautiful Saturday. One of the things I had wanted to try to save was the original rotating beacon. Instead of replacing the beacon with a strobe I wanted to see if I could retain some of the character. We were able to remove the beacon and clean it throughly with a toothbrush, WD40 and contact cleaner. Again to everyone's surprise the beacon started working without issue. We cleaned the lens on it and returned it to the top of the tail, where it happily spun around once again. We then turned out attention to the damaged nav light on the wing. Sometime in the past 10 years it had gotten damaged, we assume by the lawn care people and up until this point we'd were not sure if it was broken beyond repair. We were able to remove the light housing and remove the broken bulb which was lodged down in the socket. After replacing the bulb with a new one we were again met with success as the nav light powered on without issue. Up until this point we'd been running on just 5 gallons that I had put in the right tank but that was starting to get very low. Since the main struts were still holding and I did not want to pay the fee for the fuel truck, we decided to try and taxi the plane down to the self serve fuel farm and fill up her left tank. For the first time in 10 years she was able to taxi down to the fuel farm under her own power. 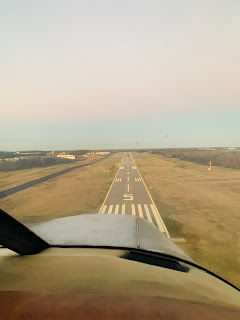 We did a radio check and called out to traffic that we were taxing, the line guys picked up on the tail number and all came out to wave and take pictures as we taxi'd past the FBO. While we were on the clear end of the field we took the opportunity to do a full run up (per checklist) and again she performed flawlessly. We ran her up to 2000 rpm and did her mag and carb heat checks. All were within normal limits. Once we got parked one of the guys came over and snapped the picture above, just goes to show that even on days when we take it easy...N2886T is getting closer and closer to returning to the skies. I had owned that airplane once-upon-a time. I had it at Hilton Head Island, SC. 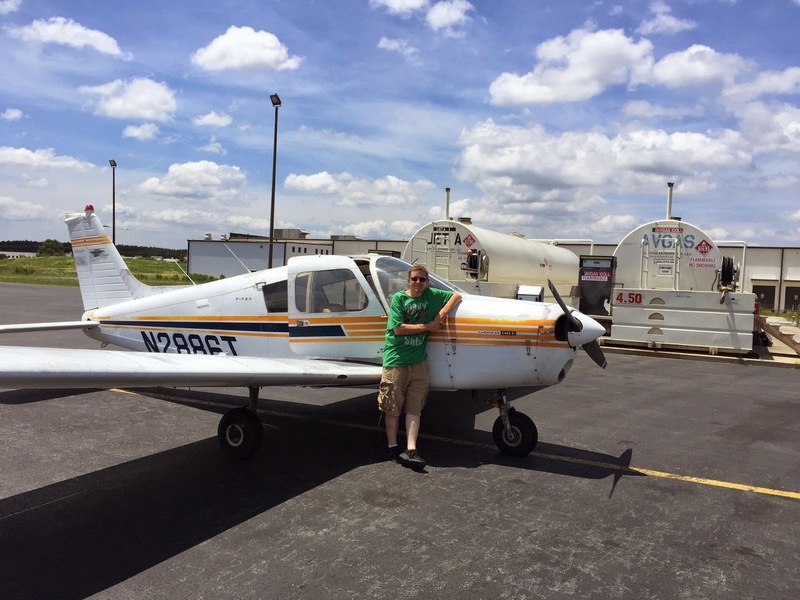 It was my first airplane and was used strictly as a time builder and family hauler (small family back then). The paint scheme looks the same. It's nice to see that airplane again! Take care! Great to hear from a previous owner. She was neglected for many years and we are doing what we can to get her back in the air. We are almost ready for first flight. Please keep in touch and also please share any other stories you have about her.